New tee shirts for sale!/Camisas nuevas a vender! New Tee Shirts! 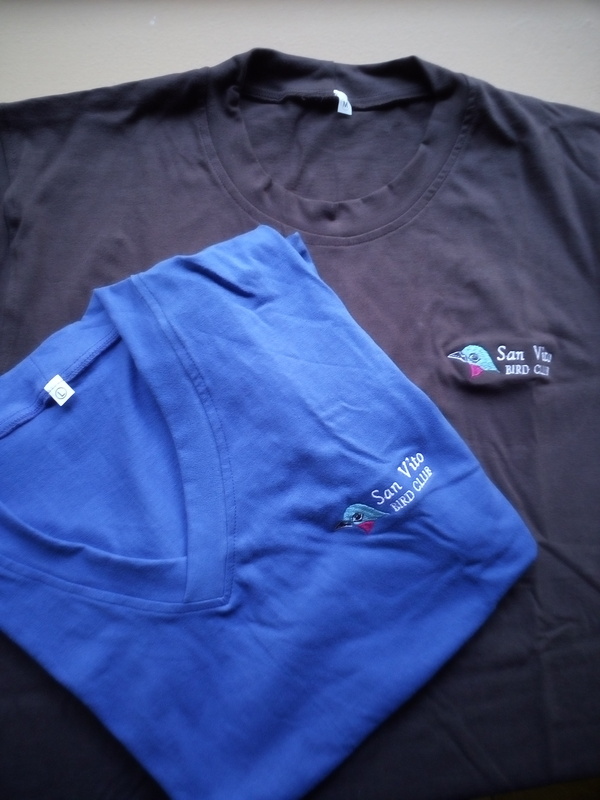 We have a limited quantity of new SVBC tee shirts — the men’s are chocolate brown (although you’d never know it by the attached photo, sorry!) and the women’s are cobalt blue with a fetching vee neck. Please let us know if you are interested in supporting the club’s activities by purchasing one or more @ $20 or C10,000 each. Send us a message by email to: sanvitobirdclub@gmail.com to place your order no later than Monday, September 7! International orders will require an extra cost to cover postage and handling. We will advise you of the total cost upon receipt of your order. Tenemos camisas a vender; una foto arriba. Los hombres son cafe; las mujeres son azul con un diseno de “V” al cuello. Por favor, avisame si quiere a comprar una (o mas) al precio de C10,000 cada una. Vamos a pedirlas el martes siguiente, entonces por favor avisanos el lunes (7 setiembre)! This entry was posted in Special Event and tagged Birding San Vito Costa Rica, free bird walks, new tee shirts, OTS Las Cruces Biological Station, Wilson Botanical Garden by AWOlivieri. Bookmark the permalink.